Seven o’clock on a Friday evening in September and the crowds outside the Narbonne stadium are fired up. The rugby match will bring together two rival teams, RCNM (Racing Club de Narbonne Méditerranée) and Carcassonne, for what the club president anticipates will be a tight match. As night falls, the warmth of a late summer day dissolves into a chilly evening best warmed with sizzling sausages and a fortifying drink before taking a seat amidst the sea of orange and black. Cheers and jeers, penalties and points… The crowd follows the nail-biting action with rapt attention. And that’s when I first see Gérard Bertrand. He was “Le Grand” as a French “Barbarian” on the rugby pitch and he’s just as tall amongst us mere mortals. Perched at the edge of his seat, Bertrand follows the match as only a professional player can. Narbonne clinch the victory 23-19 and Bertrand, stylishly dressed in a chic sport coat and jeans, gallops down the stairs with a smile. 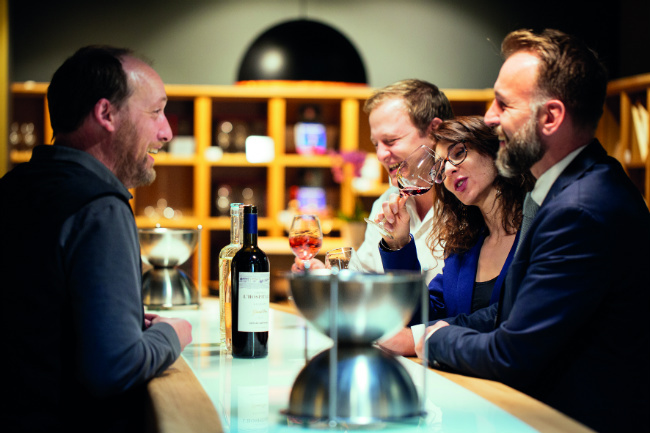 A former rugby star, Bertrand is today regarded as a pioneer in fine wine production in the Languedoc, helping to shatter the stereotype of the region’s wines as mass-market swill. 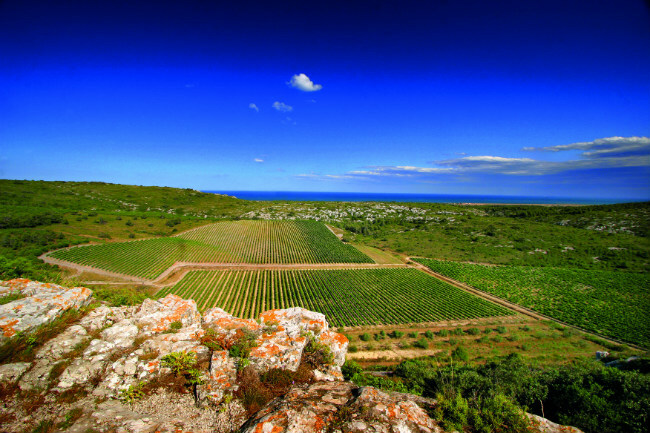 Languedoc-Roussillon – a sweeping swath of southern France between Nîmes and the Spanish border, hugging the Mediterranean Sea – is one of the world’s oldest wine regions; the Greeks first planted vines here in the 5th century BC. In fact, a sign at the entrance to Narbonne, the first Roman city in Gaul, declares it to be the “berceau”, the cradle, “des vignes françaises”. As the largest vineyard in the world, the Languedoc also came to be the largest wine producer, supplying the entire continent as the advent of the European railway system expedited exports. 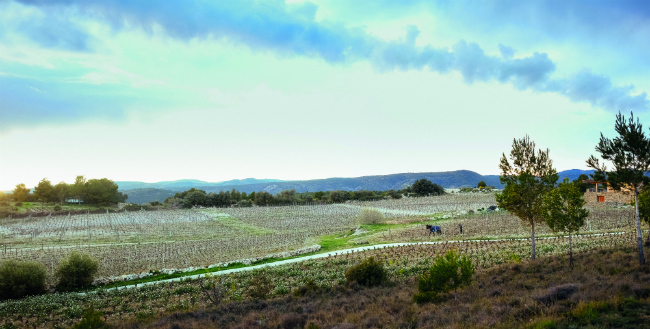 It’s this potential that’s been recognised by a new breed of Languedoc winemakers, including Bertrand. 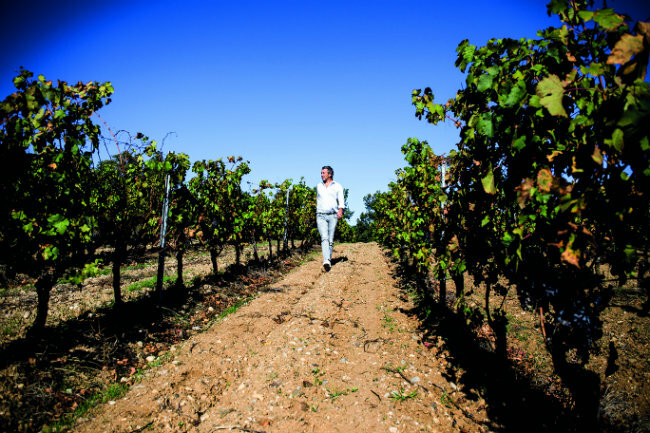 Instead of producing table wine, his father, Georges, had worked to achieve true quality at his Corbières vineyard, sometimes butting heads with local winemakers as he broke with tradition. “My father believed that there were local grape varieties whose worth was underestimated and that were capable of revealing a sense of place,” Bertrand writes in his book Wine, Moon and Stars. (Fun fact: Georges was the first in the region to put wine in barrels, in the 1970s.) Bertrand started working in the vineyard when he was just 10 years old; wine and rugby became his twin passions. Over time, Bertrand has successively added vineyards to his fiefdom, representing the diverse terroirs of his beloved native region. 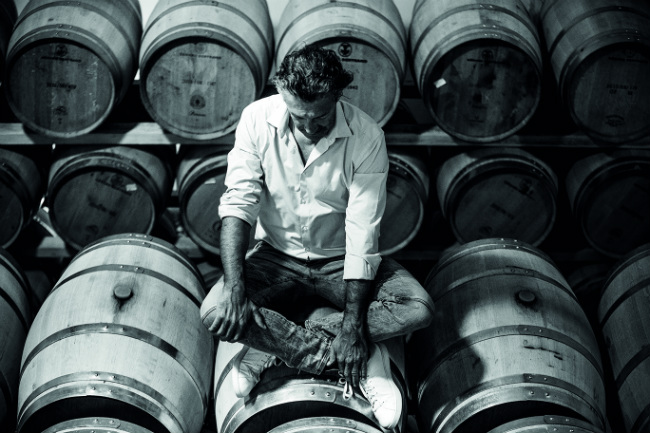 In many cases, he was not looking to expand, but local vignerons sought him out because of his passion and expertise. 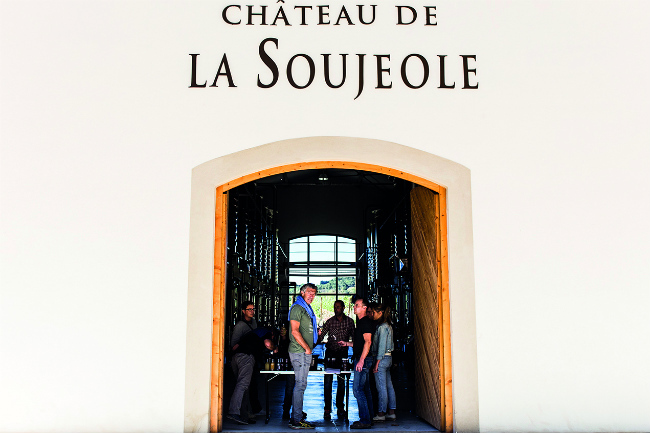 In 2002, the previous owner of Château l’Hospitalet, Jacques Ribourel, approached Bertrand; and the bishop-winemaker Monseigneur Bertrand de La Soujeole asked him to take over his Malepère-producing domaine in 2012. Today there are 12 estates in the portfolio, and his premium wines are sold in 100 countries around the globe. Bertrand is a self-made man, and in his work, rooted in the values he learned on the rugby pitch – teamwork, fraternité, la valeur du partage. 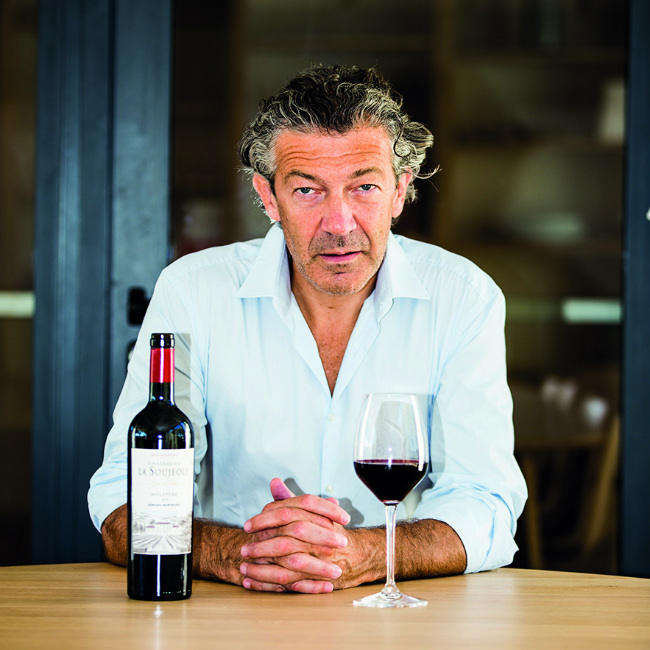 He has helped Languedoc wine overcome its stigma, developing a reputation as haut de gamme. But what is perhaps most important is that all 12 of his estates are farmed using biodynamic methods. 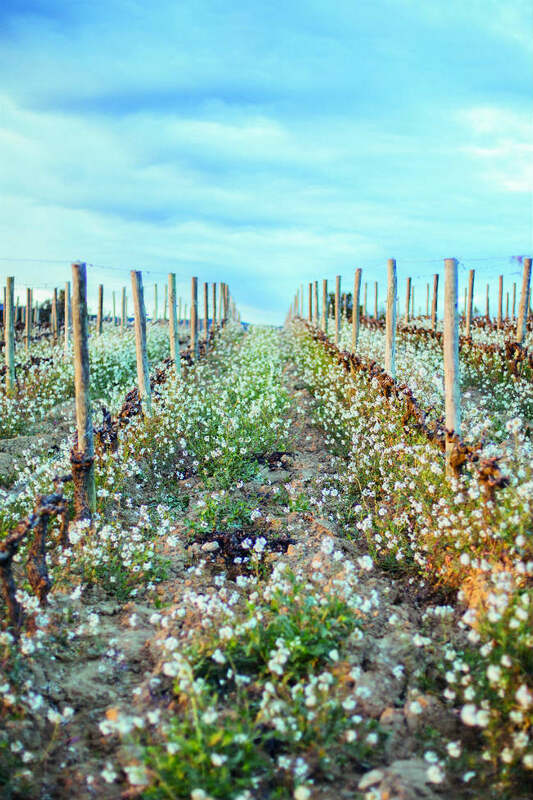 In fact, Bertrand is the global leader in biodynamic wine production. 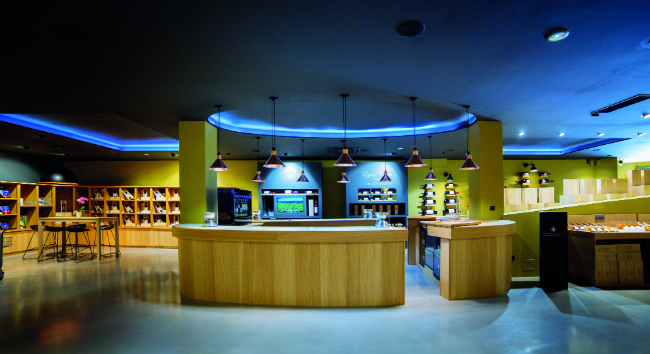 Following the rugby match, I hit the hay at Château l’Hospitalet, the 2,400-acre winery that’s a model of wine tourism in the region. From Narbonne, it’s a scenic 20-minute drive up to the Massif de La Clape, a protected conservation area perched above the Mediterranean. In Antiquity, La Clape was actually an island, surrounded by the sea. It’s a hauntingly beautiful place studded with limestone outcroppings and Aleppo pines. (“Clapas” in Occitan means “pile of stones”.) 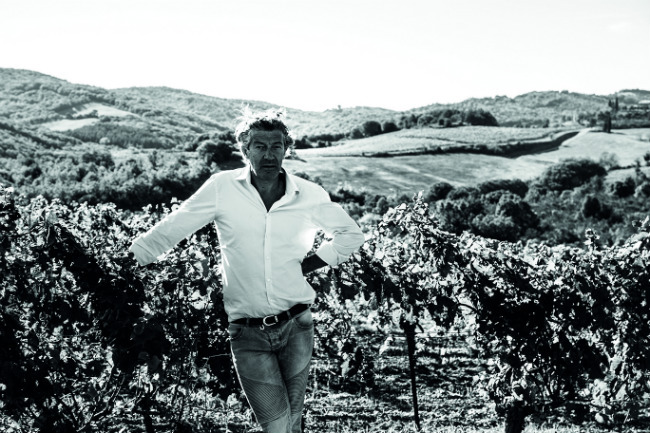 When Bertrand acquired the estate in 2002 – with some of the buildings dating back to the 16th century – he vowed to expand the wine tourism concept that the previous owner had pioneered. Building on these traditions, Bertrand has championed the idea of sharing the Mediterranean art de vivre. Château l’Hospitalet has 38 guest rooms, each named for a different Gérard Bertrand wine, which is stocked in the room. They are designed in a contemporary style with colour schemes inspired by the natural elements of La Clape: the vines, the soil, the sea. From my window, I take in views of greenery as far as the eye can see. Throughout the year, guests are welcomed for a series of events like Jazz Fridays, tastings and master classes, the vine pruning celebration, and the annual summer Jazz Festival with stars including Nora Jones, Ben l’Oncle Soul and George Benson headlining the concerts. At the Art de Vivre restaurant, chef Laurent Chabert sends out dishes like Mediterranean mackerel cooked in Hospitalet white wine, local lamb (from friend Xavier’s farm), and Tarbouriech oyster n°3 served with Hospitalet’s garden fennel, celeriac and apple. This refined cuisine showcases seasonal, local ingredients, many sourced from the chef’s on-site organic garden. And bien sûr, the olive oil comes from the estate’s olive grove. This weekend is the Fête des Vendanges, when Bertrand welcomes his clients and friends for a merry harvest celebration. There are pétanque games, wine tastings, grape-picking competitions, and unforgettable meals. (I am still dreaming of the dynamite pairings: Cigalus Aude Hauterive with a millefeuille of foie gras and sea bass; Clos d’Ora Minervois-La Livinière with an aged Aubrac steak.) Lunch tables are set up in the garden next to the swimming pool, piled high with platters of local oysters and ice buckets filled with bottles of Château La Sauvageonne Volcanic Rosé. I spy Bertrand returning from a morning run through the vineyards, gregariously chatting with his guests. After all, ancient agriculture practices made use of the understanding of the importance of the rhythm of the lunar calendar. 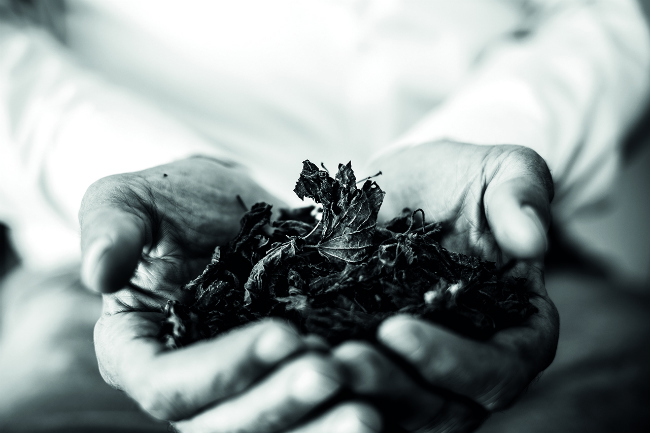 A great wine is a product of more than just its terroir and grape variety. It’s connected to the universe that surrounds it. There is another important element to Bertrand’s work: spirituality. Clos d’Ora, the prestigious estate in La Livinière, is an expression of this. There is a meditation hut on the property, and guests are invited to remove their shoes to feel the soil between their toes. It’s here where Gérard Bertrand has experimented with a path that links biodynamics and quantum theory. In the late afternoon, I take a stroll around L’Hospitalet’s estate and I’m struck by the wild, rugged beauty of the landscape. From the top of the hill, studded with craggy limestone boulders, I can see the Mediterranean glittering in the distance. Below is a low plain planted with rows of vines baking in the sun. I follow a path through the garrigues, or scrubland, and I contemplate the silence. The only sound is the chattering of swallows as they swoop and dive over the land that’s still emanating heat from the day’s abundant sunshine, fragrant with that heady Mediterranean perfume of wild lavender and earth. 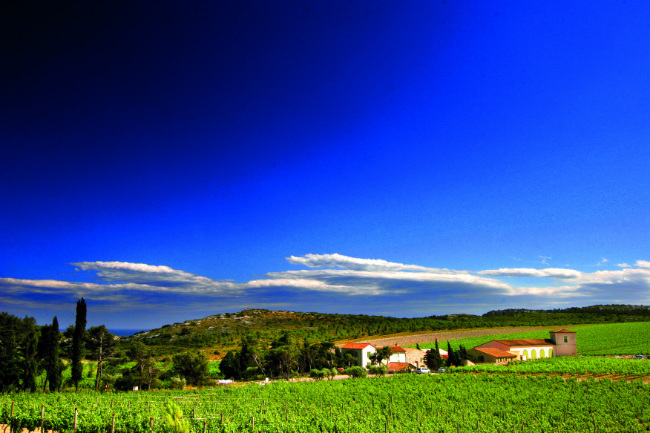 And in this landscape – as in Gérard Bertrand’s wines – I sense a touch of the divine. l´Hospitalet – red – found at Monoprix less certain elsewhere. Says a lot about this exquisite full bodied wine that it has been served during the grand Nobel prize banquet in Stockholm, Sweden. When I lived in Paris is vacationed in the Languedoc region every summer. Marvejol was my favorite! The wonderful people, meats, terrines, breads, mushrooms, grand and simple meals, wine bottles with no labels, great conversations and the beautiful nature made our trips so memorable. C’est un bon souvenir! Merci mon amis. 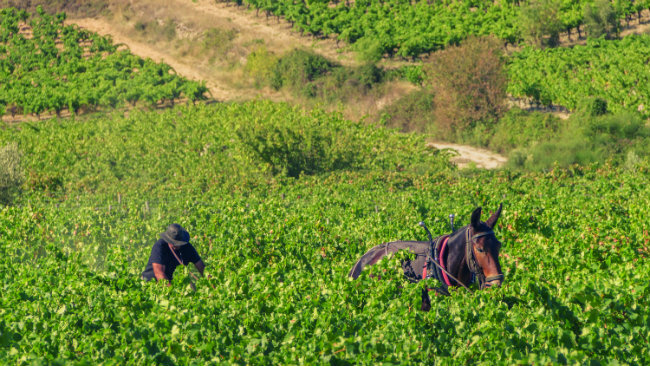 In the mid 1970s I worked the vendanges in Languedoc and the wine produced was truly awful – except, that is, for the wine that the owners produced for their own consumption and which never went anywhere near the cooperatives. Everything was done by hand and we were partly paid in wine, three, two or one litre per day, depending on the job you did, comporteur, bucket boy or picker. If you had a good patron you received good quality wine but if not, you generally took your daily supply around to someone else’s place and just added it to the bottles already sitting on the table as we workers gathered to eat and drink in the evening. 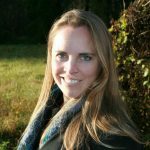 I’ve long been interested in biodynamics, organics and permaculture, indeed I’ve been a member of the UK Biodynamic Association and the Soil Association for nearly thirty years and the growth of biodynamics is testament to the dedication of its producers. Long may they prosper.